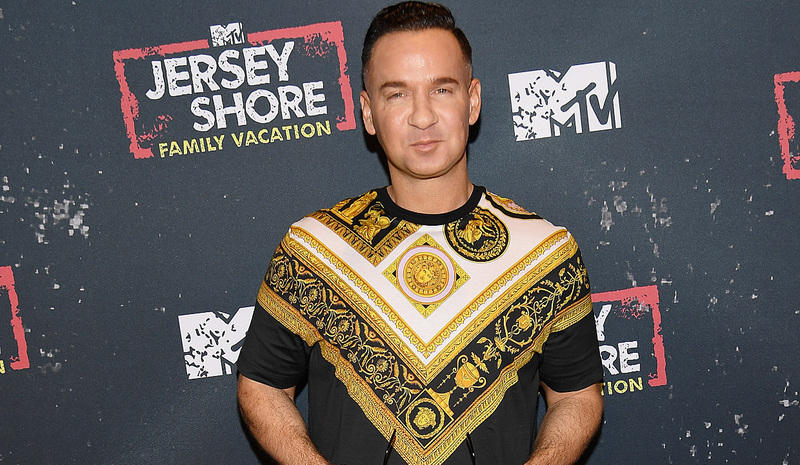 Does Mike “The Situation” Go to Jail? Why Is Mike Sorrentino in Trouble? Jersey Shore Family Vacation premiered on April 5, 2018, and the show has promised some major drama and fun. However, some real drama happened to Mike “The Situation” Sorrentino while he was off-camera. Why is Mike Sorrentino in trouble? He and his brother pleaded guilty to a tax evasion charge, and will possibly go to jail! The cast of the famous MTV series, Jersey Shore recently spoke about Mike Sorrentino’s case as he awaits his sentence. So, does Mike “The Situation” go to jail? Jersey Shore’s cast members weighed in their opinions about the situation and are supporting Sorrentino completely. “We couldn’t even stand him, and now he’s so different. I can’t wait for people to see how much he’s changed,” Cortese added. Mike Sorrentino is a part of Jersey Shore Family Vacation. So, we will find out about what he thinks about the awaited sentencing. Why Is Mike Sorrentino in Trouble? It appears that Mike “The Situation” from Jersey Shore has a situation on his hands. Since the show ended in 2012, Sorrentino had several run-ins with the law. In 2014, Mike Sorrentino and his brother, Marc Sorrentino, were indicted on charges of filing false tax returns and conspiracy to commit fraud. As per the charges made against the brothers, Mike and Marc Sorrentino failed to report income from their appearances. Additionally, Mike Sorrentino didn’t file a 2011 return, even though he earned around $2.0 million the same year. Initially, the trial was set for 2015, but it was postponed when Mike Sorrentino’s lawyer left the case. In 2015, Mike and Marc Sorrentino’s former accountant, Gregg Mark, pleaded guilty to filing fraudulent tax returns for 2010 and 2011. Mike Sorrentino reportedly concealed some of the $8.9 million in earnings he made between 2010 and 2012. And his troubles didn’t end there. The Sorrentino brothers were indicted on other charges in 2017. Mike Sorrentino was charged with tax evasion while his brother was charged with forging records to block an investigation. The new charges stated that the Sorrentino brothers filed fraudulent deductions, mixed personal and business income, underreported income, and utilized business money to make personal purchases. On January 19, 2018, Mike Sorrentino pleaded guilty to tax evasion. Meanwhile, his brother pleaded guilty to helping prepare a false tax return. Moreover, Mike Sorrentino admitted to hiding his 2011 income by making small cash deposits to avoid reporting it. According to sources, tax evasion means the illegal avoidance of taxes by trusts, corporations, and individuals. It often involves taxpayers intentionally misreporting their financial affairs to the tax authorities to decrease their tax liability. Tax evasion includes fraudulent tax reporting like declaring less income, overstating deductions, and unreported income. Why Is He Going to Jail? Although he pleaded guilty, the judge allowed Mike Sorrentino to go to Miami to film Jersey Shore Family Vacation. His sentencing will be held on April 25, 2018. As per sources, Sorrentino could be imprisoned for five years. He will also be liable to pay a $250,000 fine. As of now, it is not known whether or not Mike Sorrentino will go to jail. His lawyers in the statement asked the judge to be lenient in sentencing.